The Supreme Court of India’s Constitution Bench on Friday referred the Ayodhya title dispute to mediation. The Ayodhya mediation will be held in Faizabad and Sri Sri Ravishankar and senior advocate Sri Ram Panchu will be in the panel headed by Justice Ibrahim, Khalifullah. The Supreme Court constitution bench on Friday cleared decks for mediation in the Ram Janmbhoomi Ayodhya title case and constituted a five-member panel that includes Sri Sri Ravishankar, Senior advocate Sri Ram Panchu and Justice Ibrahim Khalifulla. The Ayodhya title mediation will be held in Faizabad and talks will be confidential, and media won’t be allowed to cover that, Supreme Court said ruled. The three-member panel will have to start the talks with different parties in Ayodhya within a week. The panel will have to submit a report after completion of four weeks and will have to complete the task within eight weeks. The mediation will be recorded on camera but media can’t report that. 1. A Constitution Bench of the Supreme Court refers the Ram Janmbhoomi-Babri Masjid title dispute for mediation. “We don’t find any legal impediment in referring the matter to mediation,” Supreme Court said. 2. 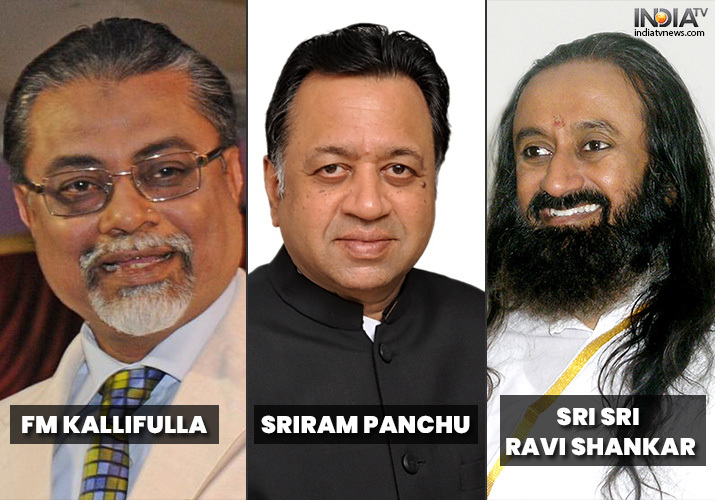 Constitutes three-member panel that will be chaired by Justice FM Ibrahim Kalifulla and include Art of Living’s founder Sri Sri Ravishankar and senior advocate Sriram Panchu. 3. The Constitution Bench orders the mediation to be recorded in camera but media can not report that. 4. The Ayodhya mediation will be held in Faizabad. The panel will get eight weeks for completing the talks. A status report will have to be submitted in four weeks. The Supreme Court Constitution Bench comprised of Chief Justice Ranjan Gogoi, Justices SA Bobde, DY Chandrachud, Ashok Bhushan and S Abdul Nazeer. However, the road to mediation is still not easy as different parties will have to come on board.